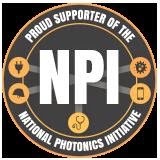 “The behind-the-scenes work being done by representatives of the U.S. National Photonics Initiative (NPI) appears to be paying off. This week, an official request for information (RFI) from the Department of Defense (DoD) included photonics as one of six technology areas under considerationfor a new public-private national manufacturing institute. “That RFI signals the invitation for the wider community - both industrial and academic - to get more directly involved in the process, by feeding back the kind of information that the DoD is looking for.